1. 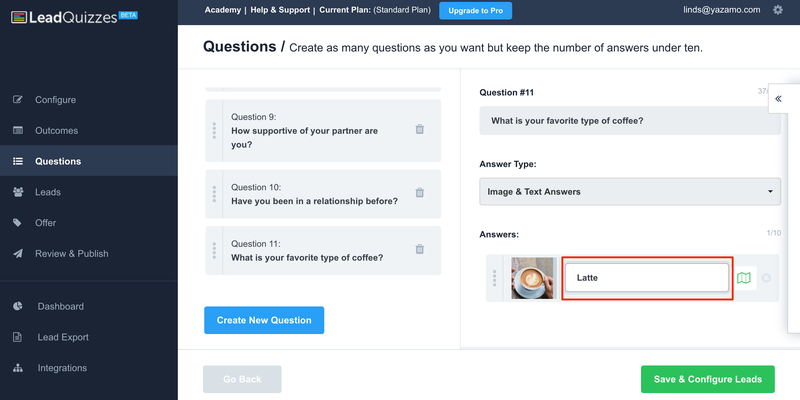 Create a quiz, either from scratch or a template. 2. 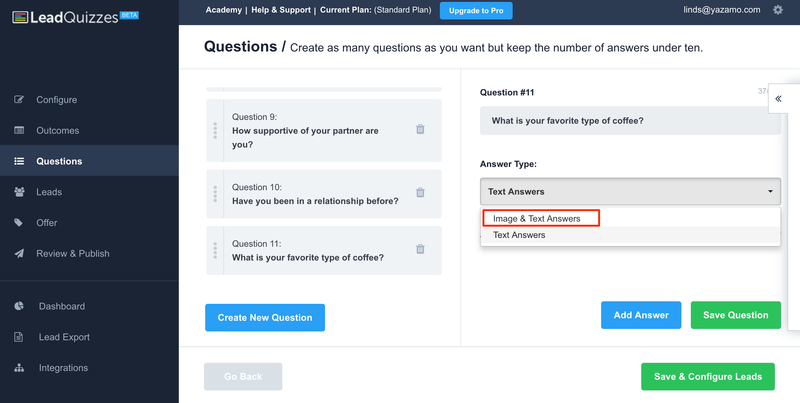 On the Questions section of the quiz builder type in your question into the text box. 3. 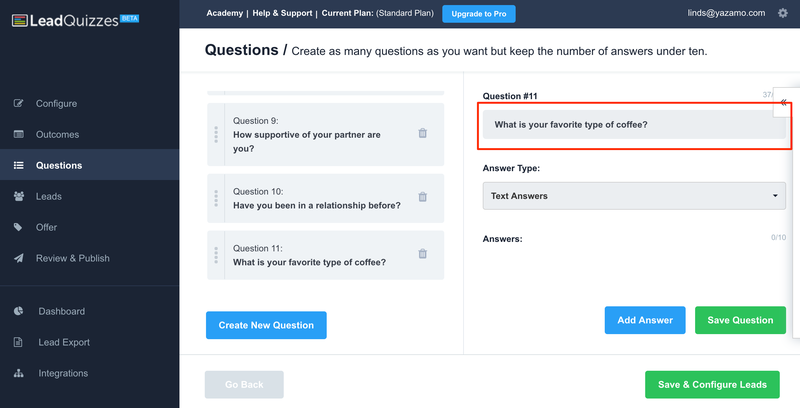 From the "Answer Type" drop down select "Image & Text Answers". 4. 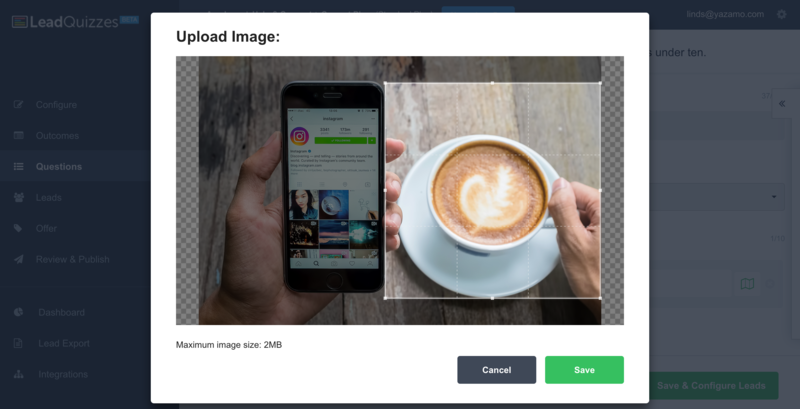 Select the image you would like to use for each answer by clicking on the grey box within the answer box and upload the image you would like to use. 5. Select the area of the image you would like to display. 6. Add an image description in the text box next to the image. 7. 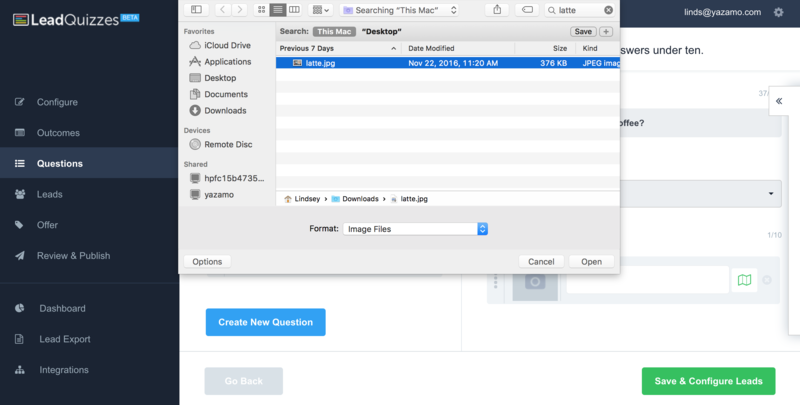 Click Save Question and create your next question!